Mercedes SL-Class SL 500 AMG Line Premium 2dr 9G-Tronic 2019 Review | What Car? What Car? will save you at least £18,007, but our approved dealers could save you even more. Found in the SL 500, this engine gives a quicker 0-62mph time but has the same limited top speed. 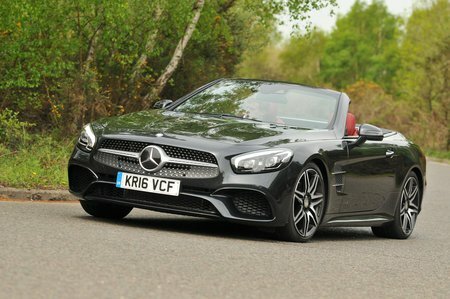 Surprisingly economical, but the SL 400 makes far more financial sense.